Two politically-connected nonprofits in San Luis Obispo County have broken federal or state laws, failed to report revenue and refused to comply with financial disclosure rules. The president and founder of one of the nonprofits has also used city government offices to solicit business for her organization — creating an apparent conflict of interest. While most nonprofits are full of hardworking people focused on helping society, many get into financial hot water. The two warning signs of financial mismanagement, according to the Huffington Post, are a lack of transparency and bullying behavior by management. After reviewing the government filings of several local nonprofits, CalCoastNews found two to be skirting laws, both of which have ties to local politicians. Dee Torres-Hill, the wife of San Luis Obispo County Supervisor Adam Hill, runs a homeless services organization she named the SLO Housing Connection. Torres-Hill did not properly report donations she received in 2014 and failed to comply with nonprofit transparency requirements. 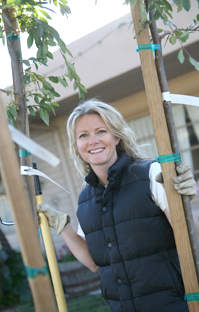 Arroyo Grande Councilwoman Kristen Barneich founded the Tree Guild of Arroyo Grande in 2005, a nonprofit with a mission to improve and protect the volume of city trees through education and outreach. While the city wrote checks to Barneich’s Tree Guild, the nonprofit falsely reported on its tax return it did not receive any government funding. And, due to a separate reporting issue, the organization was listed as delinquent by the state of California for four years. Barneich is also accused of having a conflict of interest due to the Tree Guild’s relationship with the city of Arroyo Grande, a charge she denies. The Tree Guild has received funding from Arroyo Grande, and city officials have required developers to get approval from the Tree Guild before permitting their projects, city records show. Barneich has voted on several projects in which the city involved the Tree Guild in the planning process. Some residents even question if Barneich is using her position to enrich herself through her nonprofit. For example, while Barneich was serving on the planning commission from 2007 through 2013, small business owner Mark London applied to extend an expiring minor use permit. During a planning commission meeting, Barneich convinced her fellow commissioners to require London to plant three trees in order to get his permit extension. During a break in the meeting, Barneich approached London to see if he would allow the Tree Guild to plant the trees at a cost of approximately $500 a tree, a much higher amount than he eventually paid to plant the trees, London said. Barneich claims that no one in her organization makes money from the nonprofit, but refuses to substantiate her claim. But, several city staff reports discuss the Tree Guild’s involvement in the Arroyo Grande permitting process. A staff report for a February 2014 Architectural Review Committee meeting states a developer was required to obtain approval from the Tree Guild. “As required, the Arroyo Grande Tree Guild reviewed the existing Magnolia trees and asphalt strip located at Poplar Street,” the staff report states. In January of this year, Barneich voted on a use permit for the construction of a medical office building. Before the council voted on the plan, the Tree Guild recommended doubling the amount of trees on the property. The developer complied. In each of its annual filings with the California Department of Justice, the Tree Guild has denied receiving government funding. Yet, the city of Arroyo Grande paid the Tree Guild $476.30 on February 18, 2011 and $236.11 on April 15, 2011, said Deputy City Clerk Kitty Norton. Barneich said the money the city paid to her nonprofit constituted reimbursements, not government funding. Still, the city’s response to a record request showed the Tree Guild did not produce receipts for some trees for which it billed the city. In addition to directing developers to work with the Tree Guild, Arroyo Grande officials promote the nonprofit on the city’s website. “The Tree Guild is available to help select tree species and answer other tree related questions. The Tree Guild can be contacted at (805) 235-1378,” the city website says. Additionally, the Tree Guild’s financial disclosures raise questions about the organization’s revenue. The Tree Guild reports less that $50,000 in annual revenue, making it eligible to file an IRS “postcard” rather than a standard 990 form. The postcard form does not reveal the Tree Guild’s sources of revenue nor its expenses. The Tree Guild’s annual filings with the California Department of Justice claim the nonprofit receives about $2,000 to $4,000 a year in revenue. However, the Tree Guild’s website previously said the nonprofit had about 100 volunteers who were each required to donate about $100 annually, which would equal about $10,000 a year. When CalCoastNews asked questions about the organization’s finances, the nonprofit removed that information from its website. Barneich also refused multiple requests to allow reporters access to the Tree Guild’s financial records. Furthermore, the Tree Guild operated while in delinquency for at least four years. The nonprofit did not filed a required financial report for 2010, California Attorney General’s Office spokesperson Brenda Gonzalez said. The Tree Guild corrected its status with the state after CalCoastNews asked questions about the delinquency. Dee Torres-Hill speaking on behalf of CAPSLO. Torres-Hill has also refused to provide access to the financial records for the SLO Housing Connection. In 2012, while working as the director of homeless services for the Community Action Partnership of San Luis Obsipo (CAPSLO), coworkers accused Torres-Hill of taking gift cards intended for the needy and homeless and making personal use of them. 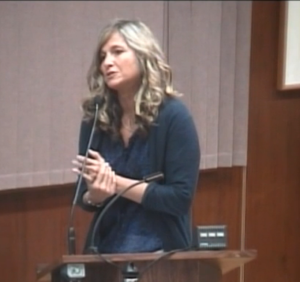 CAPSLO administrators later demoted Torres-Hill and cut her pay. While in the process of cutting ties with her former employer, Torres-Hill started a competing homeless services nonprofit. In the fall of 2013, she published the SLO Housing Connection Facebook page and began using it to solicit donations for her new venture. By fall 2014, Torres-Hill had received a $50,000 donation from developer Gary Grossman. At the time, Supervisor Hill was aggressively attempting to persuade members of the San Luis Obispo City Council to vote in favor of a land use change that Grossman was seeking. In early 2015, former SLO Housing Connection Treasurer Antonette Higgins said the nonprofit would file its tax return for 2014 later in 2015. However, by May 2015, the entire SLO Housing Connection Board quit because Torres-Hill refused to take direction and was not following the nonprofit’s mission statement, said a former board member who has asked to remain unnamed. Nevertheless, despite receiving several donations in 2014, SLO Housing Connection did not file its taxes for 2014. Federal regulations require nonprofits to make several of their federal filings, including their exemption application, available for public inspection. In response to a request for disclosure of the SLO Housing Connection’s exemption form and copies of its 2014 tax forms, Torres-Hill claimed SLO Housing Connection had not existed until late 2014 and had not yet filed any tax returns. Torres-Hill also refused to provide the exemption form as required by law. “We did not officially exist until late 2014, and had no money to report until last year 2015 as was explained to you previously,” Torres-Hill wrote in an email. “SLO Housing Connection became official and received many donations in 2015 and as such will be filing before the due date of April 15, 2016. However, state records show SLO Housing Connection filed its nonprofit paperwork, and received exemption status, in June 2014. In addition, several sources, including the former treasurer, previously confirmed Torres-Hill received multiple donations in 2014. After refusing to respond to requests for records, Torres-Hill lashed out at CalCoastNews and KVEC’s Dave Congalton. CalCoastNews has never written articles about or included photos of Torres-Hill’s minor children. “In fact, I’ve Bcc’d the actual media along with government officials and interested community members so they will have factual information before you print and Dave spews, the garbage you both just can’t make up enough of,” Torres-Hill wrote in the email. Caren Ray for Council, REALLY! Haven’t we had enough of her, with her boyfriend. There are more, just go to “SEARCH” on this site and key in “CAREN RAY” and then do a GOOGLE. Do we really want to go backwards and weren’t we fooled once, do we want to be fooled again! Remember, she is an aligment with Adam Hill and Bruce Gibson (who is hiding in the closet with his taxpayer piece of fluff – and know one wants to call this conflict of interest). We need term limits for Supervisor! Plus, we were fooled recently with Barbara Harmon, so we should be aware enough not to get fooled again with Ray. Harmon lost it when she went after the jugular with the proposed Mack removal. That motion to keep him was contradictory to her comments just minutes before. What a shame to have to drag her along for two more years! but we can make her irrelevant by replacing Guthrie and Barneich this fall. If you would like I can host an open house at my home so we can make a plan to find candidates willing to run for city council. Feel free to forward me an email at makeschoolwork@gmail.com. Together we can work for change and make it happen. The sooner we act the better. I am right there with you LeAnn. We need to find folks wanting to make a difference – make positive change here in AG. The attitude of “this is the way we do it because this is the way we’ve always done it” is so broken and non-progressive. It also kept us tied to Mayor Ferrara because he never had competition until Mayor Hill’s write-in campaign showdown. Kristen Barneich is a Caren Ray clone, but on a smaller, more rudderless and victim-focused scale. They are both appointees in every place they have tried to plant their flags, they operate in the shadow(s) of strong men – fathers, husbands, district supervisors and former mayors, and they lash out instead of reach out, when differing opinions are presented. I’m with you LeAnn. We know better, we deserve better and we need to find better. Another 501(c) non profit associated with the City of Arroyo Grande is the Arroyo Grande Village Improvement Association. Members are mostly business people who own a business in the Village. They do host the Strawberry Festival each year, along with a couple of other smaller events. Bob Lund the pompous one of AG pays himself $30k a year? and others are just volunteers that’s niz. I wonder how much does the city collect from the strawberry festival that is just strangers coming to our town to sell their JUNK. Used to be fun when it was locals selling homemade stuff, now it is just a flea market with food vendors selling strawberry food at ridiculous prices, and leaving their trash behind, causing major traffic problems ect..
Oh let’s see if they are allowed to bring Styrofoam into our city with this festival. Funny wasn’t Bob a Tony Ferrero fan when he lived here? You are singing my song! I have spent YEARS looking at, investigating and asking questions of the AGVIA. I have meeting minutes, financials, and an entire binder of their actions. I do know how to look online at financials of 990s, their ratings and a bit of detailed information. AGVIA, Judith Bean’s Chamber, AG In Bloom, let me know when to stop. But wait! There’s more! The Village is out of control with its taxpayer funding yet the businesses everywhere else (but especially Grand Avenue) are dying on the vine. I’m over being told that Bob Lund, Nick Tompkins, the MoTav/Rooster Creek folks,The Tree Guild, Mangano, etc. are friends of Arroyo Grande. They aren’t. Their best friend is their hand in our pocket. WE are our best advocate – don’t let them tell us otherwise. If Councilwoman Barneich present Ed herself more professionally she could hide her ignorance. Watch the tapes…. She is texting from the dais, and then the constant calling of the staff by their lone first name. They are all way too comfortable. No wonder they could not discipline their staff: they had become too chummy. Please, if you are running for City Council Mr. Mack, we are ready to support you. No wonder the council could not discipline our new city manager, something she truly needs to have done. That’s right–it takes 3 votes. Respectfully Surfer, the Arroyo Grande City Council was following direction from then Mayor Ferrara and Attorney Carmel when they made the decision not to discipline Mr. Adams. I watched the meeting in which Brown stated Adams had been spoken to prior to the incident which ultimately took him down. It appears Ferrara and his inner circle made decisions, the remaining council was along for the ride. Only Brown dared to question, which is why it is imperative that Arroyo Grande replace Guthrie and Barneich. Both are Ferrara bobble heads…Harmon is equally problematic. 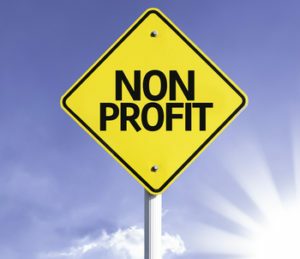 Nonprofits that do not function without government support are nearly always fraught with fraud and irregularities such as this because their entire function has been to siphon government Money to the boards and CEOs under the guise of “doing good”. We know Torres and hill are dirty as pigs in the mud (I like that analogy since Adam hill looks like a pig). How AG let this nonsense with the tree fairy go on is beyond me. How?, it was thanks to King Tony, as long as Barneich did what she was told, Tony supported her pet project, and now Guthrie and Harmon team up to keep the fleecing of the residents going. Hopefully this fall we can eliminate Guthrie and Barneich, maybe they will save up the trouble and not run but I think their egos will not let them just walk away, and then make Harmon a one term on gone and get Arroyo Grande back to the people, not just the special ones. Lets not forgot talk is Caren Ray is going to make a run and re-entering politics and we need to do everything to keep her out. Will that be clothed or unclothed? Okay. I was never going to go there, but . . . that made me laugh. You hit the lay-up perfectly. What native says that anymore? You can spell it that way but we don’t SAY it that way. I never run into Dee Torres-Hill or Kristen Barneich out in the wilds of my hometown. The air I breathe is so much less rarified. My husband doesn’t pull down a six-figure salary funded by taxpayers, and neither do I. What we DO get is a force-fed oil pipeline being laid next to our only source of water (and with ZERO notification!). I did see both Kristen and Dee in the same house (Developer Gary Grossman’s gorgeous Shell Beach Bluff estate) at the recent birthday party for my absentee District 3 supervisor, Adam Hill. This graft, this strong-arm-tactic under the guise of charity – this is the way the former mayor of Arroyo Grande operated. This is the way the current D3 supervisor operates. This is what we need to stop allowing. We deserve better. WE are taxpayers. WE are ratepayers. WE are homeowners. WE are residents. WE are concerned citizens. WE need to grass-roots rally and stop the status quo. Humane Society of the US (HSUS) is one of the biggest fund-raising scams on this planet.